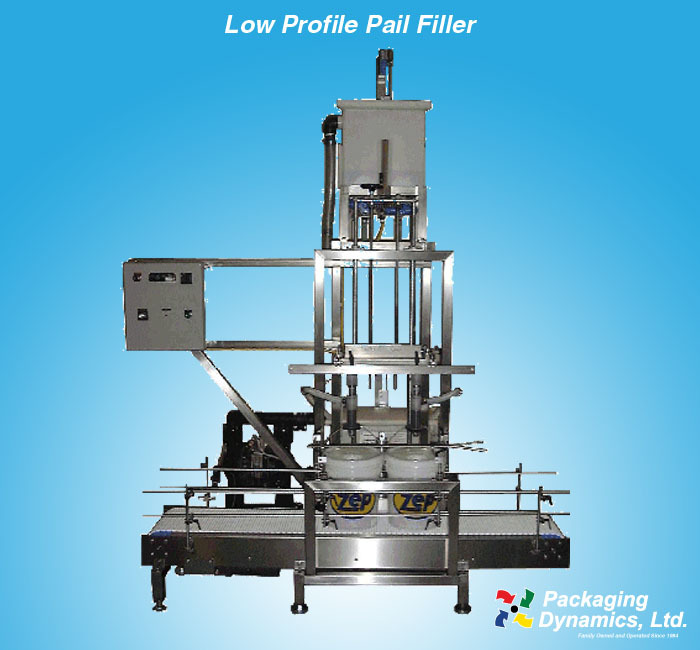 Low Profile Pail Filler - Packaging Dynamics, Ltd. Designed for Special Purpose Applications! 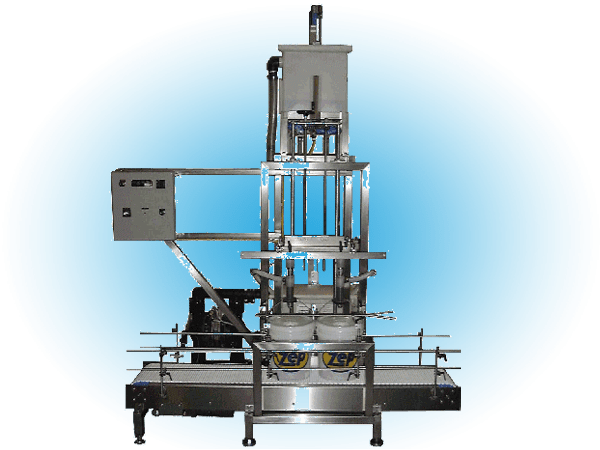 Packaging Dynamics, Ltd semi-automatic pail filling machine was engineered for the ease of filling large volume 5 gallon pails. It incorporates a low riding 12” wide conveyor adapted with a KVP chain which transports the containers to the filling station. An additional handle guide rail is adapted to help guide the containers properly into the filling area. A gentle push on the manual container stop by the operator prevents the pails from moving past the filling station. When the pails are in place and ready to be filled the operator simply pushes the Start button and the containers are filled. The machine uses a Gravity Fill system which can also be modified for a full pumping system or both. At the end of the conveyor can be found a photo-electric proximity sensor which senses the presence of a filled container and turns off the conveyor motor allowing the operator to inspect, cap and label the filled containers. The placement of the conveyor system conveniently positioned 16” above the ground allows for an easy removal of heavy containers.